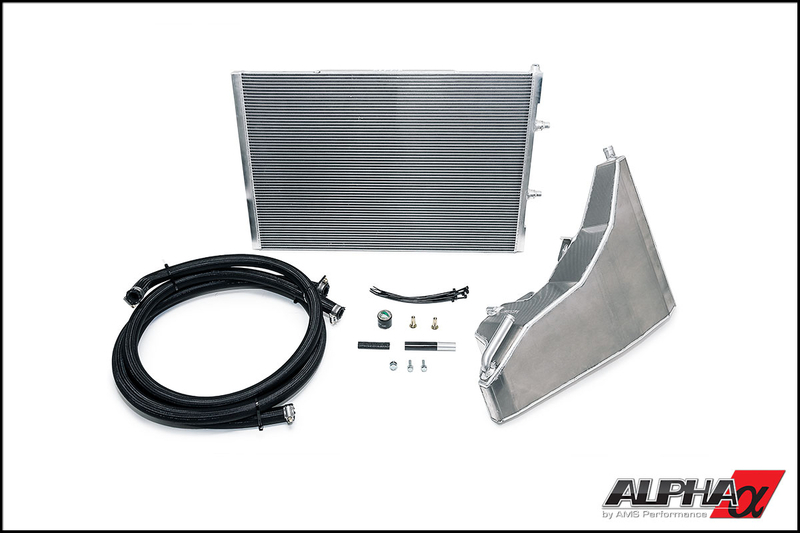 Free up some horsepower thanks to this Turbo Cooler System from Alpha Performance! Your turbo'd Mercedes, like many modern turbocharged European vehicles, uses engine coolant to cool the intake air charge through an air-to-water heat exchanger. While this method works, it can quickly become heat-soaked, robbing your horsepower. 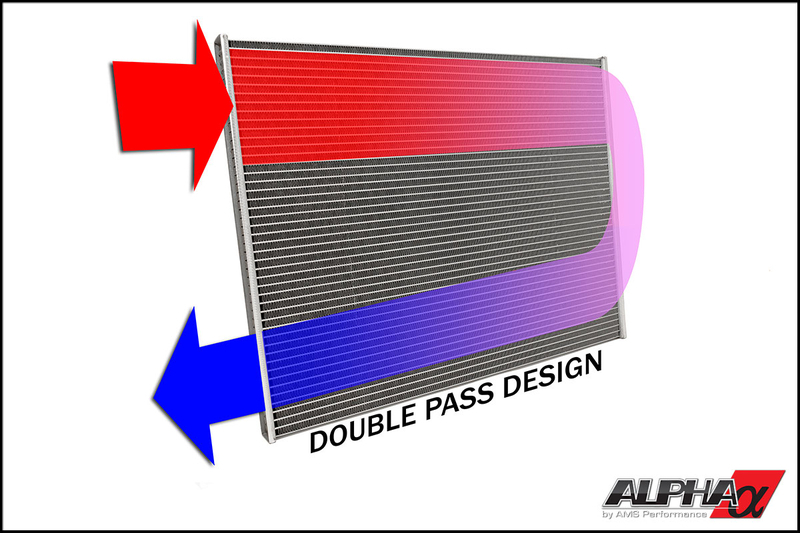 The Alpha Turbo Cooler System features a large, high efficiency heat exchanger located at the front of the car and an additional cooling system to greatly improve its effectiveness. 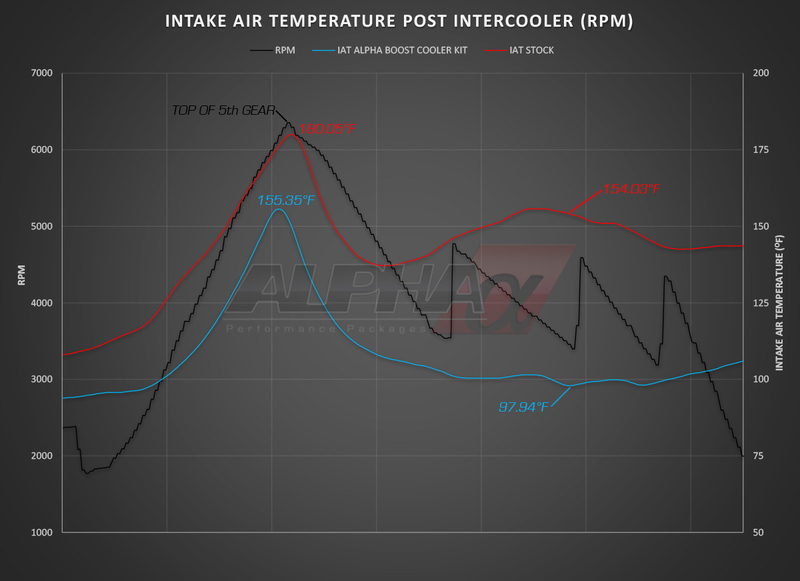 No matter the circumstance, this Alpha Turbo Cooler System will keep your intake temps low- maintaining maximum output. Through testing, it was found that the factory heat exchanger was extremely restrictive. This causes less efficiency and choking up the power output of your engine. The core is a motorsport quality heat exchanger core which is much larger, featuring an additional 19 tubes to dissipate heat quickly. This larger design makes for added fluid capacity, significantly increased flow, and of course, reduced air intake temperatures that will boost power output. This product fits just like stock- no cutting or drilling. 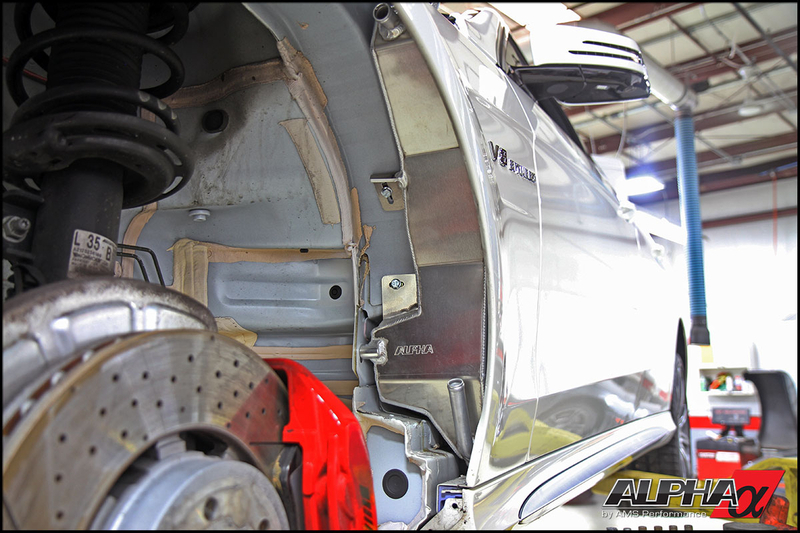 Unlike many other Turbo Cooler Systems, this one mounts in the passenger fender well, so you don't have to worry about running lines to the rear of your car, drilling holes in your trunk, or giving up trunk space!